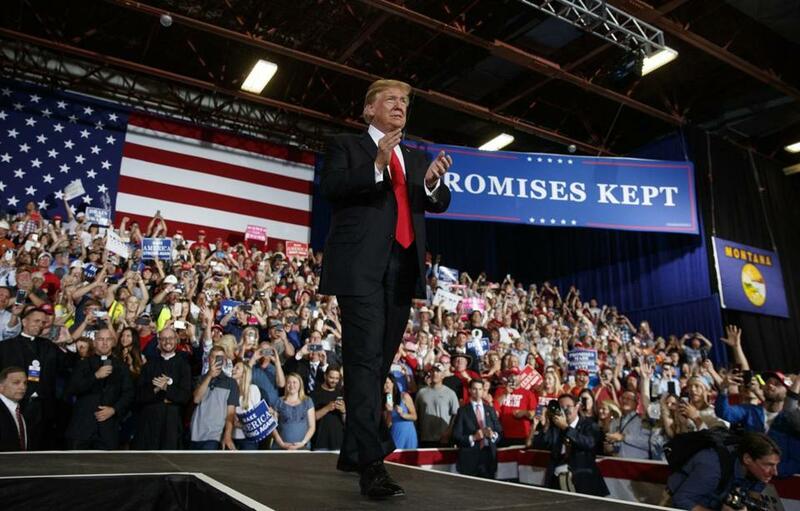 President Trump arrived to speak during a rally on Thursday in Great Falls, Mont. Trump made the comments during a rally in Montana, at which he spoke at length about the Massachusetts Democrat, calling her his favorite politically incorrect nickname — “Pocahontas” — and chiding her about her undocumented claims of Cherokee heritage. Warren has not backed off her claims and has even forcefully defended them: In February, she told the National Congress of American Indians that her mother’s family was part Native American. 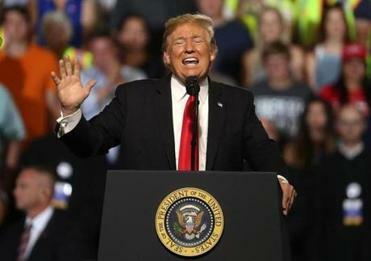 President Trump lobbed personal and derogatory attacks at two Democratic senators and mocked the #MeToo movement during a freewheeling, raucous event in Montana. However, that hasn’t stopped Trump from taking up the issue publicly, including at Thursday’s rally. “Let’s say I’m debating Pocahontas, right?” Trump said Thursday night. “I’m going to get one of those little kits, and in middle of the debate, when she proclaims that she is of Indian heritage — because her mother said that she has high cheekbones; that’s her only evidence, that her mother said she has high cheekbones — we will take that little kit, and we will say — but we have to do it gently because we’re in the ‘Me Too’ generation, so we have to be very gentle — and we will very gently take that kit, and we will slowly toss it, hoping it doesn’t hit her and injure her arm, even though it probably only weighs 2 ounces. Warren responded to the president in a strongly worded tweet, tying his japes about her ancestry to his administration’s highly controversial separations of immigrant parents and children who have entered the country illegally.